Will be posting a Quick Start Guide along with the first character creation guide later tonight. Also your going to need to get a update for FC to fix resource copying so you can use the character template. yay!!! im interested in using this..
* Can now change the background color of the preview window. * Default ground if no stage is loaded. * Scripts appearing in the wrong folders. * Character system variable creation. Replace the 'Fighter Creator Demo.exe" application, in your Fighter Creator install directory, with the one in this download. Here is the first guide of a series that will help you create your own complete characters, starting with a template then building up to a game ready character. do you have a guide for stages/lifebars as well? Will be posting guides for those most likely tonight. Sorry for the lack of updates, been working hard getting this engine to work as well as possible. * Position Collision function, allows you to position an entity, previously in a collision, anywhere. Useful for aligning a player in throw attacks. * Holding SHIFT and/or ALT increases an Edit Box value scroll speed. * Full function support in Animation Scripts. * Highlights over script frames, to make it easier to distinguish frames from scripts. * Place On Ground function, immediately places player(s) on the ground level. * Shortcut key for creating items ( CTRL+A ). * Enter Key not working properly on dialogs and edit boxes. * Go To Script function causing the scripts this function was used in to end instead of continuing through the remaining frames. * Editor Performance - Overall/Fullscreen Mode. * Duplicating frames in correct order. 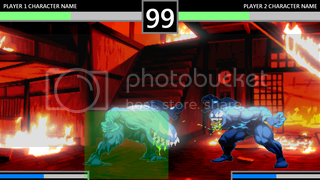 * Attack/Throw Collision functions now automatically shift player priorities. * Player Functions can now use variables for player fields. * Copy Resource options to select if you want to copy media also. * Option in 'Settings' to enable/disable script/frame previews. * Get Timer Value function. * Script and Frame run time mode. * Selection box not showing when editing Menu Gadgets. * Set Gadget Position function sets the incorrect Gadget position data. * Start Timer function name. * Timer Variables not being reset. * List item tags not displaying/showing when they shouldn't. * Issue causing extra frames to be created. * Edit boxes being left open when dialog has been closed. * Comment text not displaying in status bar. * Game not being properly reset after play testing. * Player controls still being mirrored after characters have been loaded and then unloaded. * Duplicating resources doesn't copy data descriptions. * Quick Adjust Variables not being saved. * Revised the player field in Get/Set Variable functions. * Progressbar Gadgets' percent value is automatically clamped to 0 - 100 range. * Timer Variables can now be used as number variables. * The active gamemode's start script is re-processed when resetting the preview. * Inactive Collision boxes can no longer be collided with unless colliding boxes' Collision Mode are set to Multiple. * Media files are also copied when copying resources containing media. * When selecting an image to add, the name of the FC Image is automatically set to the filename of the selected image file. * Project Framerate is used when playtesting the game. * More Editor/Engine Performance tweaks. Still not perfect, but much better than before. Use this project as a guide for building your own games. Will be adding a lot more features to it soon. * Importing/adjusting images to/for different image sets. * Update script frame data when names of media/variables/entities are modified. * Import Mode image importing options in context menu. * Project/Side bar icons not staying highlighted when they should. * Frame creation when the Script Processor is enabled. * First field in flyout gadget appearing too high up. * Image Animation preview when editing Entity Animation Image Frame. * Copy To/Resource creating duplicates. * Autosave settings not being saved. * Backup images are now placed in their own folder. 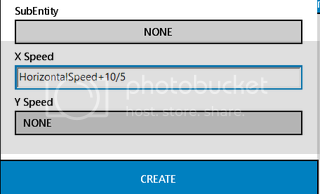 * Image importing settings now all in one dialog. * Copying image color sets now only affect images with the same image set. * Hide Playtest button when just a resource (not a project) is opened. 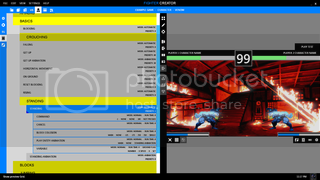 Replace the 'Fighter Creator Demo.exe" application and 'Editor.fci' file, in your Fighter Creator install directory, with the files in this download. 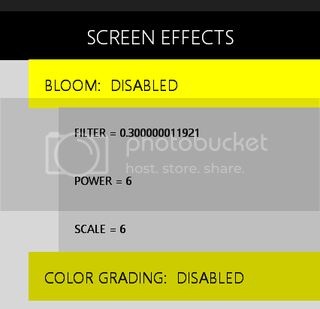 * Screen effects are now supported and can be modified in real-time inside the Preview Settings menu. * Sharpening effect to Image Adjustments. * Demo Version project restrictions. * Image Adjustments automatically using a fur/hair effect. * Stage Camera settings being right-clickable. * Preview Panel being invisible sometimes after loading projects/resources. * Image Adjustments Edge blurring issues. * Saving wrong Object Priority data. * Disabled Cinematics, will be making significant updates to it. * Collision Functions support variables. * Xbox Controllers are assigned directly to active players. 1. Replace the 'Fighter Creator Demo.exe' application, in your Fighter Creator install directory, with the 'Fighter Creator Demo.exe' in this download. 3. 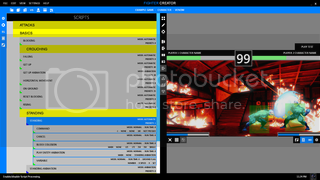 Move the 'Effects' folder, in this download, into your Fighter Creator install folder. * Clamp, Data pass, and Reset Collision functions. * Ground Level/Threshold debugging and options. * Frame function field variable checker. * Xbox Controller creation, as it is no longer needed. * Multiple/Single field in Collision functions. * Selection Dialog not showing folders. * If Condition variable 1 field not visible. * Editor crashes if user image is not found. * In-Field Processing issues, can now use negative number/variables. * Issue causing Or Condition functions to be processed when the shouldn't be. * Issue that causes objects to move inconsistently. 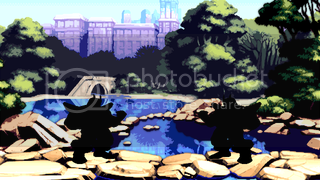 * Images being upscaled twice when added individually. * Search/Replace causing frames to be rearranged. * Or Condition function now needs to be linked to an If Condition. * Speed field in Entity Image Animation function now supports variable usage. * Xbox controls are now automatically used when a xbox controller is connected. * Player Screen Side variables. Extract the files from this download and place them in your Fighter Creator install directory. Overwrite/Replace any files if you are prompted to do so, and delete the 'Fighter Creator Demo.exe' file. Designed to help users understand how to create the basics systems needed to get a functional character on screen. All you have to do is just add your own sprites to a character using this template to see results on screen, and then expand on the systems provided by the template. Well went ahead and bought the program. So you better not disappear! How close to current fighting game standards are you going to implement things? Like will it have push boxes along with blue and red hit boxes? How much feedback would you like in things that would make this easier to use and things that current fighters have? Are there specific areas you are focusing on? Will it be easy to set up engines and templates to share and allow people to expand on? Thanks lol, I'm not going anywhere. As close as I can possibly get it to where the character can generally work for most fighting games, and then you would just add your game-specific features on top of it. A ton of feedback is welcomed. Just mainly focusing on basic movement and combat, but I can also cover more advanced features like tag team systems and so on. Yes, templates for complete resources or gameplay systems will be share-able and people will be able to add on top of them. I don't ask for anything crazy. 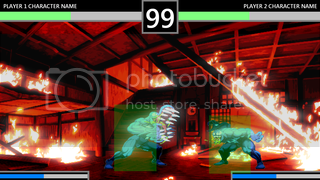 I just want to be able to create games like Street Fighter and Darkstalkers accurately. I take a lot of screen shots and videos to compare source accuracy when I create. I'd love it if for example I could use your interface to simplify the way hits work. Like when someone jabs them I'd like to visually be able to place the character in the correct location they should be at for each tick. Does that make sense? And to be able to do similar to code wall push, etc. Make templates for these and have the ability to edit each move respectively. That's just 1 example. I'm tearing the SF and DS series apart and would love to give you ideas. I get most of my ideas while doing my MUGEN adaptations. Your visual interface could open a lot of doors as this progresses. The reason I mentioned the push box is because MUGEN doesn't have one at all. And we have to do crazy work arounds to make things work properly. If you look closely you will see a couple of small boxes, these are Position Collision boxes. I used them for the throw attack, but they allow you to position players where ever you want in the game. Yeah that looks like it'd be useful. I'll give you more feedback when I can mess with the full version. Still got to wait for my download link and Probably have to wait till Tuesday because I'll be staying with my mother the next 3 days and FC didn't run on my laptop. So i went and bought the commercial edition. I guess I'm waiting for a emailed link correct? @Genesis: Yeah, please give me as much feedback as you can. Extract the files from this download and place them in your Fighter Creator install directory. Overwrite/Replace any files if you are prompted to do so, and delete the 'Fighter Creator Demo.exe' file ( If it exists ). Makes game development with Fighter Creator a lot easier by allowing users to create or use predefined game mechanics which, streamlines the creation process. By using Resource Systems, you no longer need to know how to implement most of the complicated gameplay features because resource systems, created by other users, can contain these features already perfected for you. New Resource System - Sets up a new resource system. Import Resource System - Import an existing resource system. Edit Resource System - Imports an existing resource system for editing. Reset Resource System - Removes any left over resource system data. 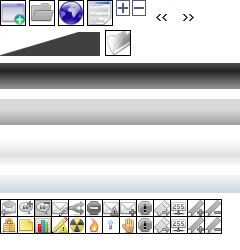 Once the file has been exported, press the Resource System button again, and then click on the 'Close Resource System' option to exit out of Resource System editing. To use the Resource System, press the Resource System button, then press the 'Import Resource System' button to load the system you previously exported. The Character Template posted before will be converted into a Resource System and posted here soon.